THE IRISH MAIL on Sunday newspaper has issued an apology to former taoiseach Brian Cowen over a photograph it published of the former taoiseach while he was attending a course at Stanford University in California last summer. The paper reported in July 2012 that the former toaiseach had enrolled on a €47,000, six-week Executive Education Programme at the university and had a number of pictures of Cowen both on campus and attending lectures. Mr Cowen was attending this event in a personal capacity. We apologise to Mr Cowen for this publication. The former Fianna Fáil leader was participating in the Executive Education Programme which is “designed to equip senior executives with the knowledge, relationships, and tools necessary to drive results at the highest level of global management” according to its website. 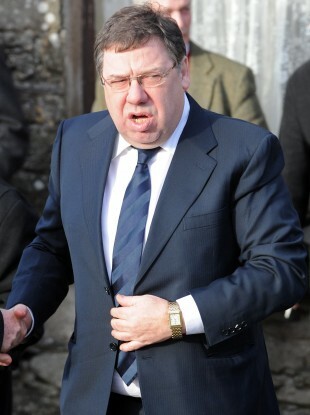 Email “Irish Mail on Sunday apologises to Brian Cowen over California picture ”. Feedback on “Irish Mail on Sunday apologises to Brian Cowen over California picture ”.